Discussion in 'Missing 1900 to 1979' started by Akoya, Aug 4, 2017. Annita Price was last seen at 8:45 PM when she left for work at The Flamingo Club in Benwood, West Virginia, on May 30, 1974. She never arrived at work and was never seen again. The vehicle she was driving belonged to her boyfriend. It was an early 1970's AMC Sportabout (a four door Gremlin) green in color. The vehicle was discovered the next morning along West Virginia Route 2, the major north south route along the Ohio River between Moundsville and Wheeling, West Virginia. There was no evidence of a struggle, although some cosmetics, including lipstick and an eyeliner, were lying on the seat of the car. Annita's disappearance was not reported to police for three days. Annita had been going through a divorce and there was a custody battle for her two children. Authorities believe her disappearance was connected to foul play in some manner. Price was last seen around 8:45 PM when she left to go to work at The Flamingo Club in Benwood, West Virginia on May 30, 1974. She never arrived at work and was never seen again. Her car was found along West Virginia Route 2 at 12th Street in McMechan, just north of Moundsville. Distinctive burn scars on left arm and torso from severe burns when a child. Height and Weight at Time of Disappearance: 6'0"; 155 lbs. Distinguishing Characteristics: White female. Brown hair; brown eyes. Marks, Scars: Distinctive burn scars on left arm and torso from severe burns when a child. This may be apparent in her bone structure since this occurred when she was about 9 years old. Clothing: Yellow shorts and a blue top. The vehicle she was driving belonged to her boyfriend, and was described as a early 1970's AMC Sportabout (a four door Gremlin) green in color. The vehicle was discovered the next morning sitting along West Virginia Route 2 which is the major north south route along the Ohio River between Moundsville and Wheeling, West Virginia. There was no evidence of a struggle, although some cosmetics, including lipstick and an eyeliner, were lying on the seat of the car. Annita's disappearance was not reported to police for three days. Annita had been going through a divorce and there was a custody battle for her two children. Authorities believe her disappearance is connected to foul play in some manner. Identifying Characteristics: Annita has burn scars on her entire torso from the neck to upper thighs, and also on her left arm. These scars are severe and were from a childhood accident. Circumstances of Disappearance: Last seen around 8pm heading to her job at the Flamingo Club in Benwood, WV. Driving an early 1970's green AMC Gremlin. The car was found abandoned on Rt. 2. in McMechan, WV. Her purse, makeup and wallet were still in the car. She never arrived at work. 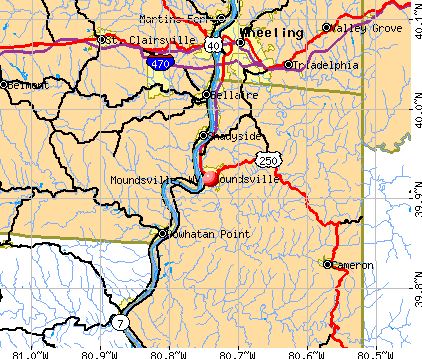 On May 30, 1974, Annita Price of Moundsville disappeared on her way to work. She was never found, and for 42 years, she has been listed as a missing person. All these years later, her children are still trying to figure out what happened to their mom. With the help of the West Virginia State Police, they may soon have some answers in the cold case. 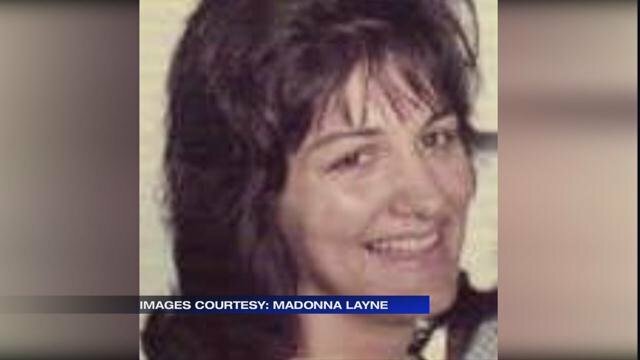 Madonna Layne was just five-years-old when her mother, Annita Price, was reported missing after she left for work, but never made it there. A tip had come in in 2004 to the West Virginia State Police that lead the family to believe that foul play could have been involved. 42 years later, the family is back in Marshall County conducting a search where they believe Annita's body may be buried, near the Gypsum Plant. "We've had dogs in the area, human remain dogs, run several times," Layne said. "Yesterday would have been I think the third or fourth time that we've had dogs run. Dogs keep alerting to something in this one particular area in front of the plant that we're looking at. We really feel like it's necessary to dig. Something is there." In 1974, when Annita went missing, the Gypsum Plant didn't exist. The area where several human remain dogs have responded to is not covered by a road or building so it is possible to excavate. The family and team of experts ran into some problems digging on Saturday, and they have to re-route a water source before the dig can continue. Layne and her brother said they are "cautiously optimistic" that the search will give them some of the answers they need. Several groups of experts and workers are in town for the dig, but it is hard to tell when work will resume due to the water source relocation. "We just want to find our mom. It's been 42 years, and we want to be able to put her to rest properly, and we just want answers," Layne said. She said if the dig does not result in the discovery of her mother's remains, investigators will at least know they can turn their attention elsewhere, and help the family find some closure four decades past due. 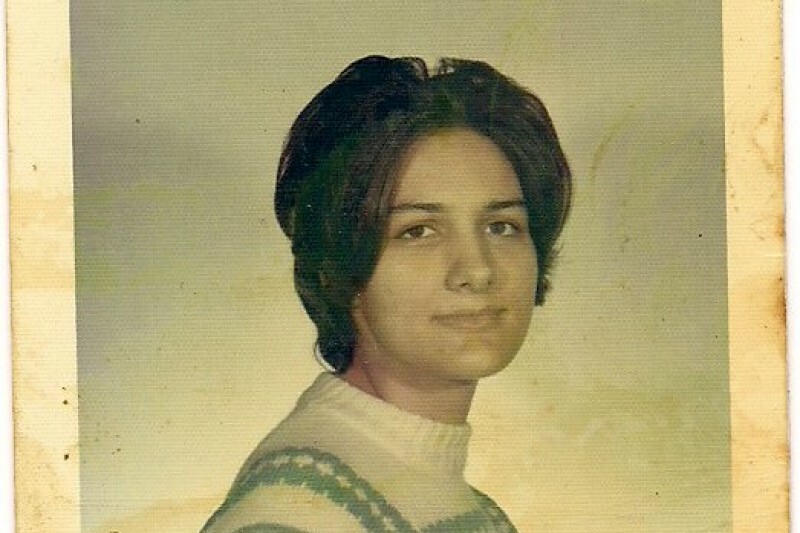 Annita was last seen on May 30, 1974 at approximately 8:45 p.m.
She was supposed to be on her way to work at the Flamingo Club in Benwood, West Virginia. The vehicle was discovered the next morning sitting along West Virginia Route 2 which is the major north south route along the Ohio River between Moundsville and Wheeling, West Virginia. She never arrived at work. Annita was reported to have been wearing yellow shorts and a blue top. Annita had severe burns to her left arm and torso from a childhood accident that may be apparent in her bone structure since this occurred when she was about 9 years old. Annita had been going through a messy divorce and there was a custody battle for her two children. DNA from the victim's children have been entered into the Relatives section of the National Missing Persons Database which is also associated with CODIS. She was born Annita Maria Musto in New Jersey, lived there for a short time until her father died when she was four. The family moved back to West Virginia where her mother married another man. Unsure about dental work, tried to locate that at one point, we identified her dentist, but he is dead and the records could not be found. It is believed that Annita met with Foul Play. On May 30, 1974, Annita Marie Price left her Benwood home, headed for work. She never made it. Her abandoned car found along W.Va. 2 between Wheeling and Moundsville yielded no clues as to what happened. The case went cold - but it never left the minds of family members who continue to seek closure. Madonna Layne is Price's daughter. She has spent much of her life trying to unravel the mystery of her mother's fate. "It's been 35 years since my mother went missing," Layne said. "She has lost some siblings, but she still has grandchildren and a great-grandchild she has never seen. We just want to put her to rest properly and give our family some closure." Layne, 40, of Richmond, Va., has one brother, Leonard Price Jr., 38, of Oak Hill, W.Va.
Price has four siblings still living, including a sister, Lola Cook of Elyria, Ohio, and three half-siblings - Mike Elkins and Judy Hall of Madison, W.Va., and Bobby Elkins of North Reidsville, Ohio. "My mother was only 27 years old when she disappeared," Layne said. "Our family is desperate for anyone to come forward with information about what may have happened to her." Layne said her family has enlisted the help of Monica Caison, who has gained national attention as founder and director of the Community United Effort Center for Missing Persons in Wilmington, N.C. The center is a non-profit organization designed to help families involved in dated missing persons cases. "We just got this case in March," Caison said. "We plan to set up and start executing a goal plan. I think all cold cases deserve to get public awareness. We need to remind people that Annita Price is still missing and target the community for anyone who may not have been willing to talk years ago." Sgt. Danny Swiger, a cold case investigator for the West Virginia State Police Bureau of Criminal Investigation, believes Price met with foul play. "Right now-given the fact that she has had no contact with family members and there is no record of her existence-it is reasonable to believe she is most likely deceased," Swiger said. "We have found no evidence that she has had any type of earnings, Social Security benefits or credit records." Swiger said he became aware of the case in April 2002 but nothing developed until nearly two years later when an anonymous tip gave a possible location where Price's remains may have been buried. "We excavated in an area south of Moundsville," he said. "The tip indicated the body was buried under power lines running parallel to W.Va. 2 - but we found nothing." Layne plans to revisit the excavation site to further her investigation. "I understand there has been some construction at the dig site, and I don't know if we can get access," Layne said. "We want to see if they (investigators) missed something." Swiger also intends to keep the investigation active. He said "the missing puzzle piece would be to find her remains. It could reveal a cause of death and possible evidence that could link it to a perpetrator." Born Annita Maria Musto on March 20, 1947 in New Jersey, Price moved to West Virginia at age four after her father died and her mother remarried. She is described as a white female with brown hair and brown eyes and "well proportioned" at six feet tall and 155 pounds. Price was last seen at 8:45 p.m. on May 30, 1974 wearing yellow shorts and a blue top as she departed from home en route to her job at the former Flamingo Club in Benwood. She never arrived at work. Investigators found the green, early-1970s, AMC Gremlin she was driving the next morning along W.Va. 2. Swiger said Price had severe burns to her left arm and torso from a childhood accident that may be apparent in her bone structure since the accident occurred when she was about 9 years old. "Annita had been going through a messy divorce, and there was a custody battle for her two children," Swiger said. "DNA from the victim's children have been entered into the relatives section of the National Missing Persons Database, which is also associated with CODIS, a national database designed to search DNA profiles. We encourage anyone who may have information about this case to contact us at tips@ovcoldcases.com. 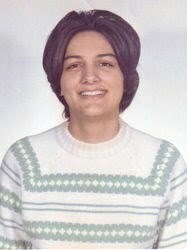 Annita Price was last seen on May 30, 1974, at approximately 2045 hours when she left for her place of employment, the Flamingo Club, in Benwood, West Virginia. The car Ms. Price was driving was found along WV Route 2 at 12th Street in McMechan, WV, just north of Moundsville, WV. Ms. Price never arrived at work and was never seen again. Ms. Price has distinctive scars on her left arm and torso from severe burns when she was a child. It is believed that Annita Price's disappearance is connected to foul play in some manner. Anyone who may have information about the disappearance of Annita Price is asked to contact Sergeant Danny Swiger at 304-329-1101 or your local State Police Detachment. The vehicle was discovered the next morning along West Virginia Route 2, the major north south route along the Ohio River between Moundsville and Wheeling, West Virginia. Annita Price was last seen on May 30, 1974, at approximately 2045 hours when she left for her place of employment, the Flamingo Club, in Benwood, West Virginia. Flamingo Club 1446 Marshall St S Benwood, WV 26031.